We are excited to announce the launch of our new BCCA Gear! 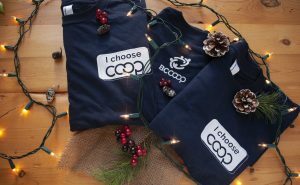 We take pride in offering you quality products that are sourced either from local co-operatives, local businesses, B Corporations, or ethical suppliers. 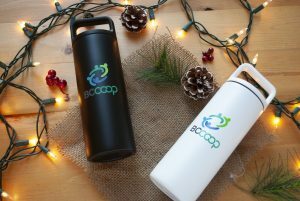 Place your order today by emailing us at general@bcca.coop or calling us at 604-622-3906! 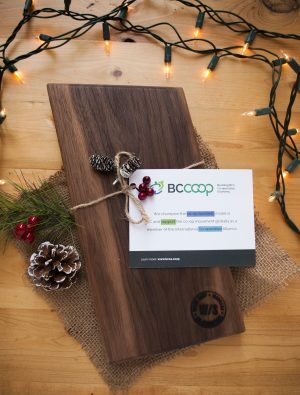 Handmade from reclaimed walnut wood by our friend and BCCA member Woodshop Worker’s Co-op, these artisan cheese boards are one-of-a-kind beauties! Grab yours today as quantities are limited! Dimensions: 6″ x 12.5″ x .75″. Built with Thermo 3D™ Double Wall Vacuum Insulation, these MiiR water bottles will keep your drink hot or cold for hours on end! Made with medical grade stainless steel as well as being BPA free, each water bottle comes with a lifetime warranty. MiiR also includes a Give Code on the bottom of their bottles that you can register on their website and track the giving project your purchase is helping to fund! A Certified B Corporation, MiiR annually donates 3% of their revenue back to the global community. Bottles are available in either Black or White. 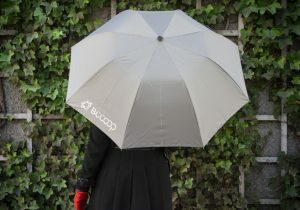 Get your own BCCA umbrella this rainy season! Made by the local Vancouver-based company Vancouver Umbrella Inc, these durable, lightweight, and retractable umbrellas are sure to last you a lifetime. Youth Reinventing Co-operatives explores the ways youth think about and use co-operatives to meet their economic and social needs. 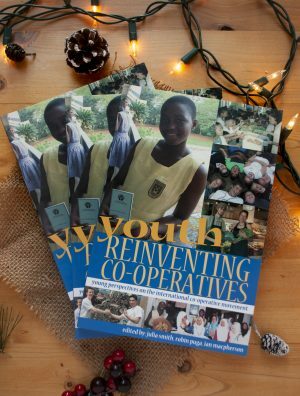 Featuring over forty case studies on co-operatives in Africa, Asia, Europe, Latin America, and North America in which young people played important roles, this book also includes reflections by young people considering what co-operatives mean for them and could mean for others. This book concludes with a series of recommendations about how young people may learn about, and more effectively use, the co-operative model as they seek to shape the world in which they live. Interested in getting your own BCCA Gear? Place your order today by emailing us at general@bcca.coop or calling us at 604-622-3906!